Imagine if the Apostle Paul were alive to defend the truth of Jesus's resurrection-only to be countered by none other than the prophet Muhammad himself. In an approach as creative as any scholar has taken, Michael R. Licona describes an invention that can make historical figures appear alive and present. Imagining an audience of both Christians and Muslims, Licona crafts a lively debate between Paul and Muhammad, each speaking on and analyzing the validity of the Qur'an, the gospel accounts, and both Christian and Muslim doctrine. 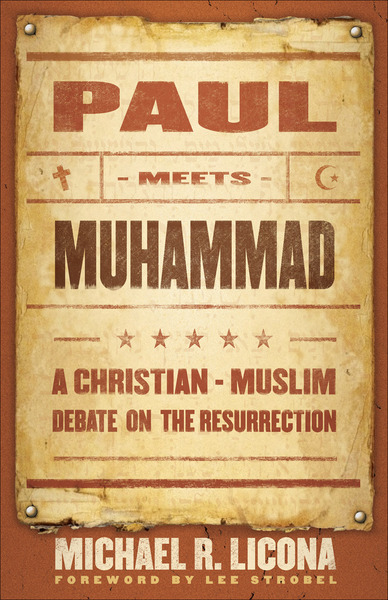 Intriguing and entertaining, Paul Meets Muhammad uniquely offers evangelism advice for Christians who want to speak the gospel to Muslim friends and neighbors. This fictional scenario presents a powerful, comprehensive defense of Jesus's resurrection and of Christianity itself.